Living in Melbourne we are spoiled for places to explore on the weekend. 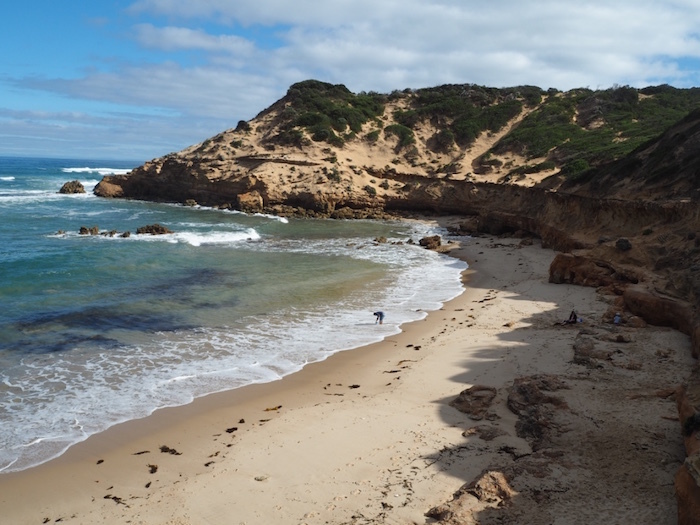 The Mornington Peninsula, a one hour drive from central Melbourne, is one of the most popular weekend destinations. With the open ocean on one side and Port Phillip Bay on the other, it offers great beaches for both surfers and swimmers. It also has enough attractions to keep anyone entertained at any time of the year. Whether you like wineries, art galleries, great walks or a day at the spa, you will find it all on the Mornington Peninsula. Sorrento was Victoria’s first mainland European settlement and it is now a fashionable seaside town in summer and a sleepy town in winter. Its main street is lined with expensive boutiques, cafes, and restaurants and in the summer it gets very crowded. If you like walking, there are many beautiful walks to do from Sorrento. We love the Millionnaire’s walk and the Coppins Track. 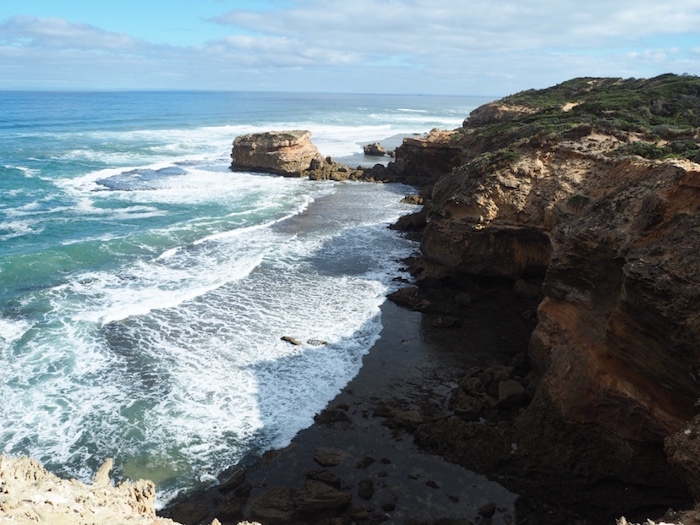 The Millionnaire’s walk takes you from Sorrento to Portsea and offers splendid views of Port Phillip Bay from the cliff top. You will walk past many expensive holiday houses owned by the rich and famous. It is an easy walk; no need to be in great shape! The Coppins Track is a little harder but still quite easy. It begins on Sorrento’s back beach and follows a path around to Diamond Bay. It offers some beautiful views of coastal scenery and wild beaches. You will get to enjoy those views all by yourself as it isn’t crowded. The rock arch London Bridge has been formed by the erosion of wind and waves and is a famous site on the Peninsula. Two minutes walk from the London Bridge carpark, you will reach the lookout. 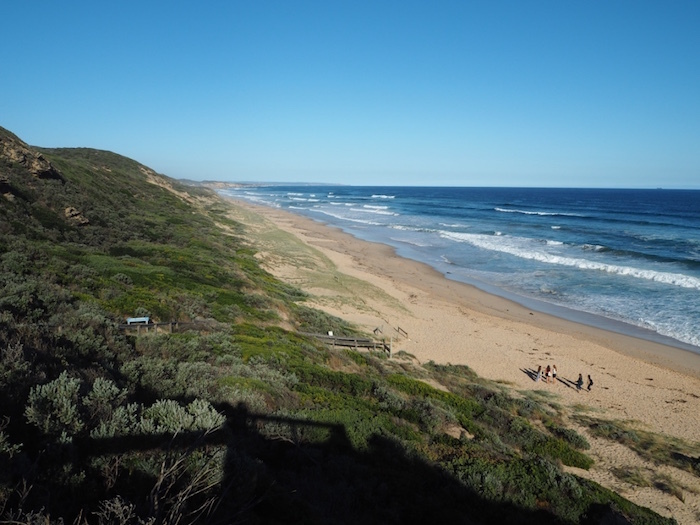 It offers great views over the bridge and the impressive Portsea back beach. For a closer look at the bridge, walk down the ramp onto the beach and head North. After a short five minute walk, you will reach London Bridge. 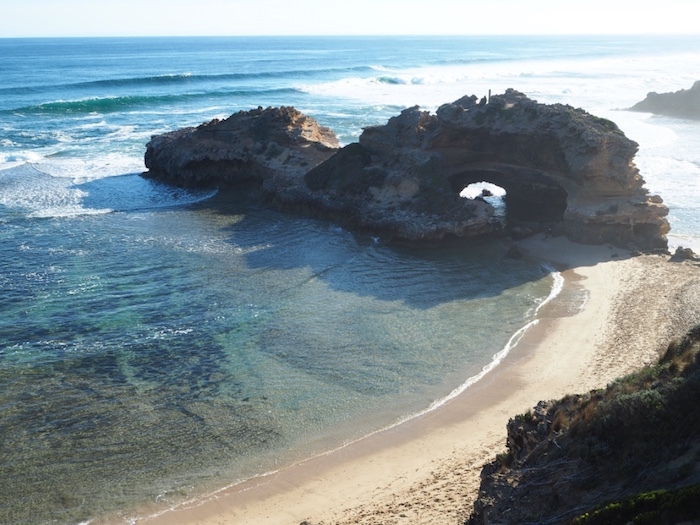 The area is great for snorkelling and there are many rock pools to explore at low tide. 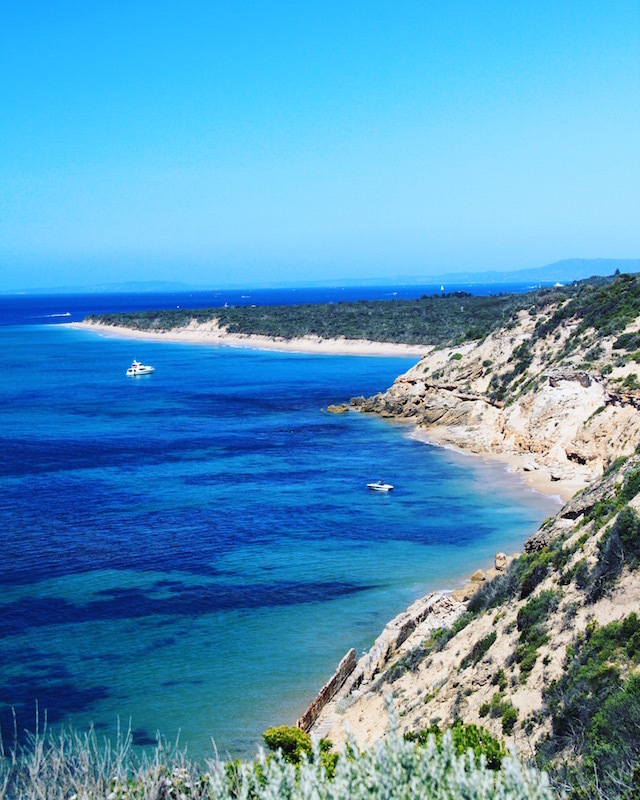 Located at the tip of the Mornington Peninsula, this national park has a heaps of history. 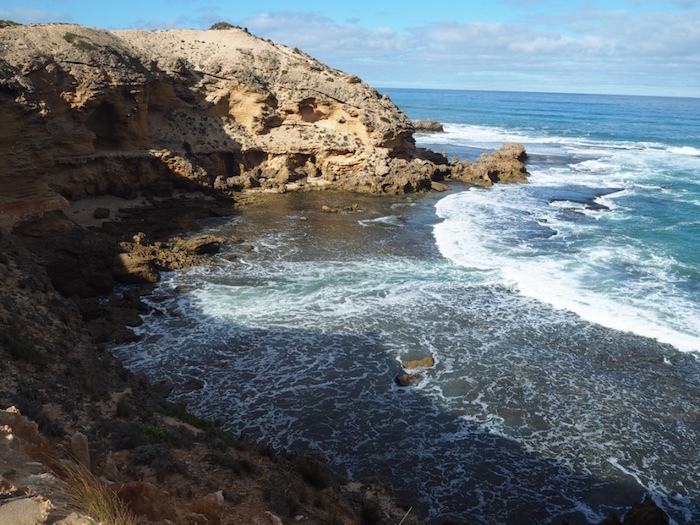 It also has stunning coastal scenery and scenic views of Bass Strait, the rip, and Port Phillip Bay. Take some time to explore the many attractions such as the old fort, the historic quarantine station; and the underground tunnels and old bunkers from the two world wars. You can even check out the Harold Holt memorial. This memorial was created in memory of former Australian Prime Minister who went missing, presumed drowned there in 1967. The park also has many deserted beaches and coastal walks. You will need to dedicate a few hours if you want to see them all. The Mornington Peninsula is a huge wine producing region with over fifty cellar doors. If like us, you love wine, you will love spending a few hours sampling some wine around the peninsula. The hardest part is choosing where to go. 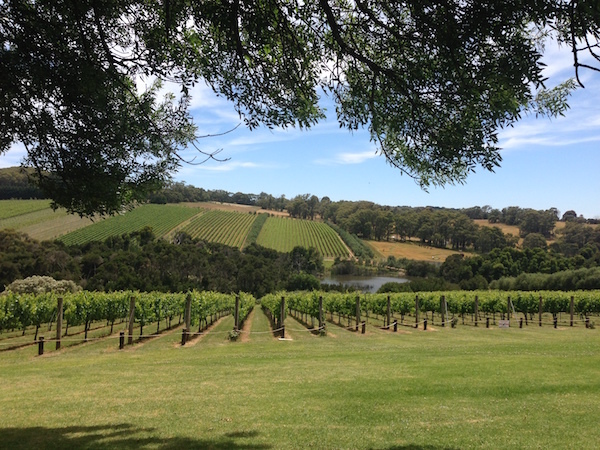 Our favourite winery is Tuck’s Ridge in Red Hill. The food at their restaurant and the wine they produce are top notch. It also has stunning views. But the main reason is that Tuck’s Ridge is where we were married back in 2009! There are many more awesome wineries nearby. You will have a lot of choices. Montalto, Red Hill Estate, and Foxey’s Hangout are also incredibly scenic. If you want to try a few, you can join a group tour and let someone else do the driving! If beer is more your thing you can always check out the Red Hill Brewery. They make some great beers. 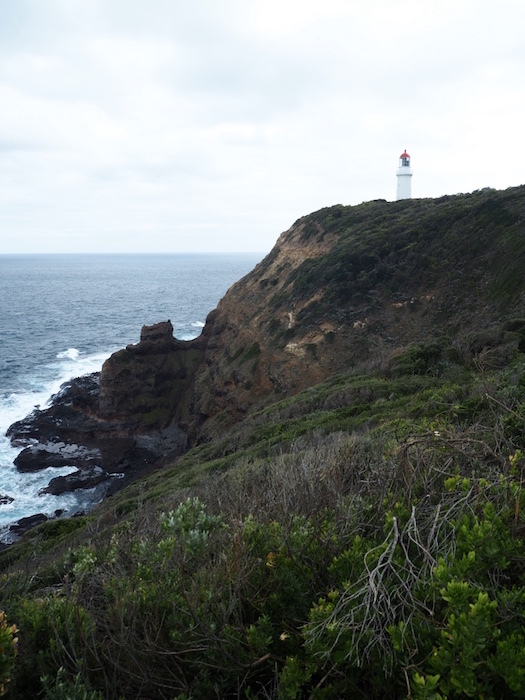 At the southern-most tip of the peninsula, you will find Cape Schanck and its lighthouse. Take the short boardwalk walking track down to Pebble Beach and Pulpit Rock. It’s an easy walk with dramatic views and colours. Many different bird species live in the area. If you enjoy birdwatching you will love it. 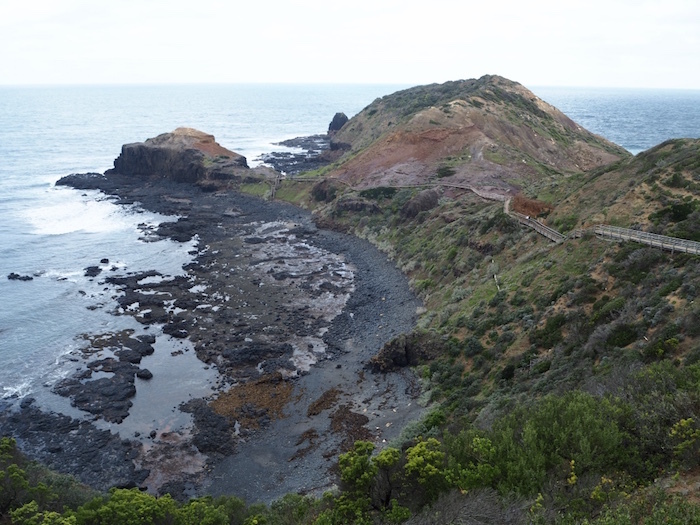 The Bushrangers Bay walking track offers some of the best coastal scenery near Melbourne. 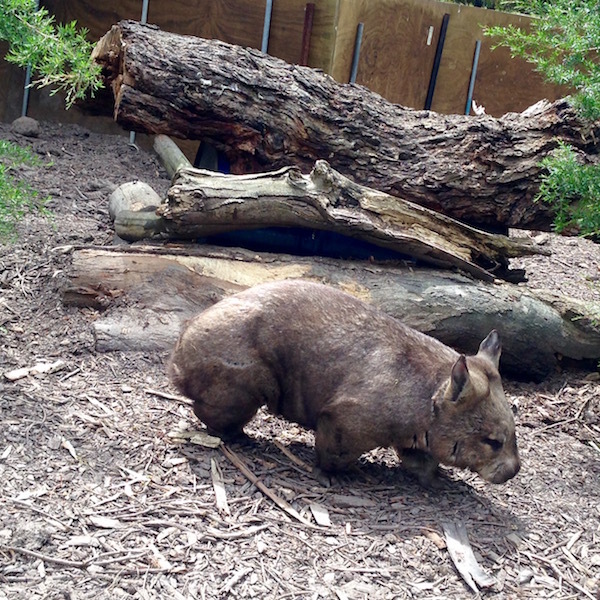 You might even be lucky and spot some kangaroos or an echidna, especially around dusk. 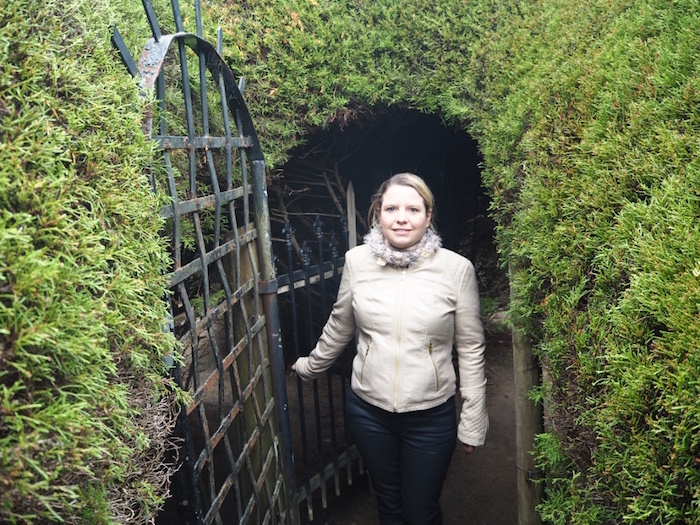 The Ashcombe Maze is an excellent attraction to visit if you have children, or if you love beautiful gardens. It has two hedge mazes, a circular rose maze, a lavender labyrinth and twenty-five acres of manicured gardens. 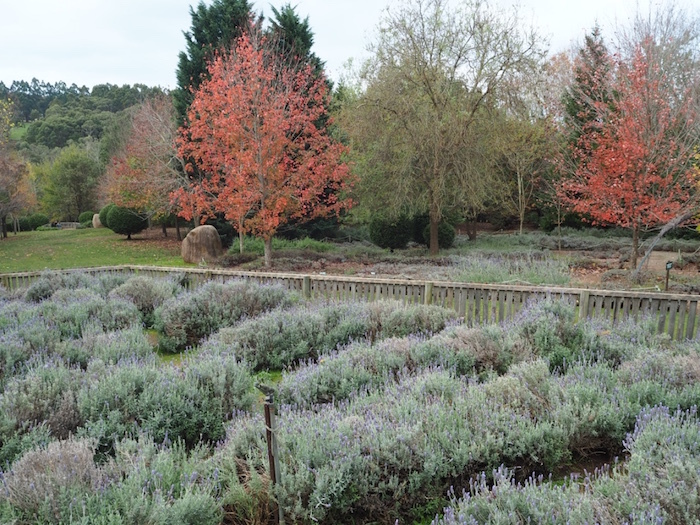 Ashcombe Maze is a great place to pass a couple of hours; and because the gardens change every season there will always be something pretty to see no matter when you go. Getting lost in the Ashcombe Maze! Arthur’s Seat is the highest point on the peninsula. At its summit there are spectacular views over the bay and the peninsula. On a clear day, you may even be able to see the skyline of Melbourne’s CBD (Melbourne itself is very flat but is surrounded by hills and mountain ranges). 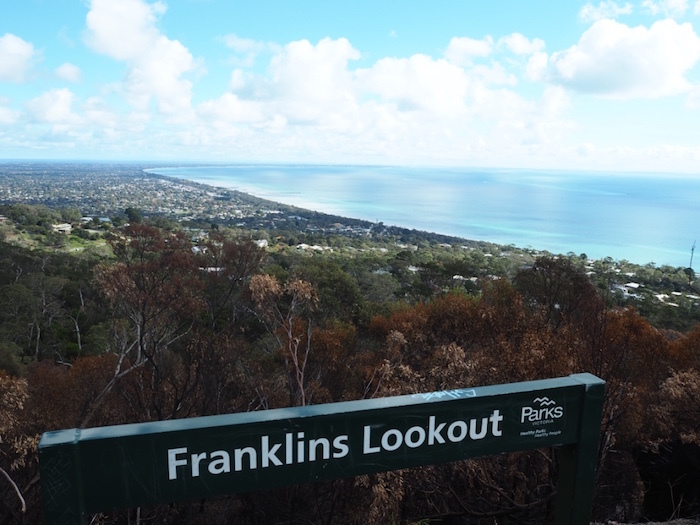 On your way up the windy road, don’t forget to stop at the Franklin and Murray lookouts. They both have fantastic panoramic views of the peninsula. During summer take a boat trip and go swimming with bottlenose dolphins and Australian fur seals. We went out with Moonraker Charter and it was a great way to spend three hours (if you don’t mind the cold water!). The water is cold in the bay but they do provide wetsuits. On our tour we saw many seals and a couple of dolphins. We love seals so we had an amazing time and if you love them too we highly recommend booking this tour! 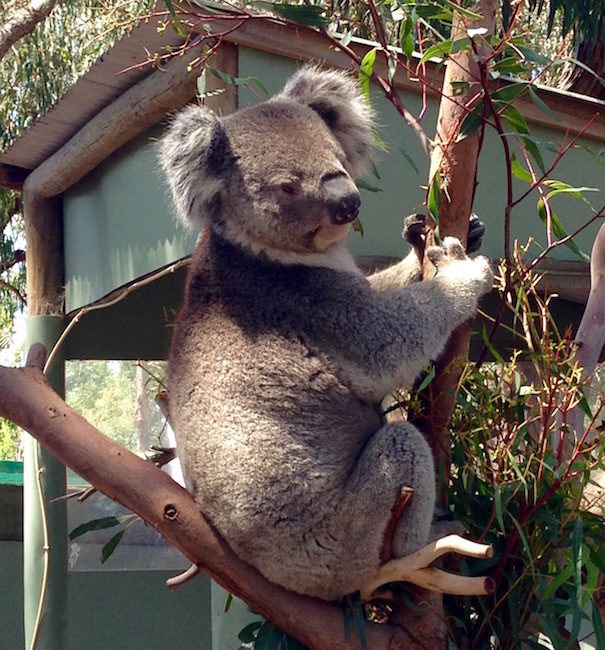 Have you always wanted to pet a koala, feed a kangaroo or have your photo taken with a python? If so then pay a visit to the Moonlit Sanctuary. This award winning wildlife sanctuary spans ten acres and is home to many of Australia’s famous native animals. You can visit during the day or sign up for the guided lantern-lit evening tour. The night tour will take you through the home of many of the sanctuary’s nocturnal animals. I have been to many wildlife sanctuaries during the ten years I have lived in Australia but the Moonlit Sanctuary is my favourite. It’s mainly because they care so well for their animals which is really important to me as an animal lover. It is also because they run conservation breeding programs and have education programs for kids. For all the foodies out there, the Mornington Peninsula is full of great restaurants. They all use the peninsula’s delicious locally grown food which you can also purchase for yourself. For example we always stop at the Mornington Peninsula Cellar and Pantry on our way home to grab some gorgeous local cheeses and dips. Do you think all those places sound great? Then you should know that there is so much more to do on the peninsula. If you are visiting Melbourne for a while, do yourself a favour and find some time to explore this beautiful part of Victoria.Whether it is a whole day, a weekend or longer, you will not be bored. It would be a real shame to come to Victoria and not experience the Mornington Peninsula. 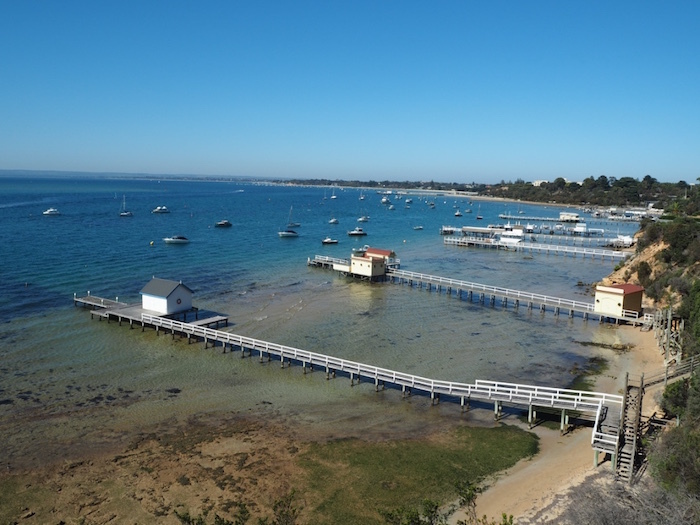 Click here to find accommodation on the Mornington Peninsula.